The Monks of Medmenham Abbey were one of the hundreds of clubs and societies that proliferated during the British Enlightenment. Medmenham was founded by a wealthy nobleman, Sir Francis Dashwood, who helped begin a number of clubs in the 1730s, 40s, and 50s such as the Society of Dilettanti, the Divan Club, the Egyptian Society, and the Lincoln Club. The interests of these clubs ranged from the serious to the libidinous – with the Monks of Medmenham Abbey falling in the latter category. The club seems to have developed out of Francis Dashwood’s penchant for dressing up as Catholic clergymen while on his grand tours in Italy. 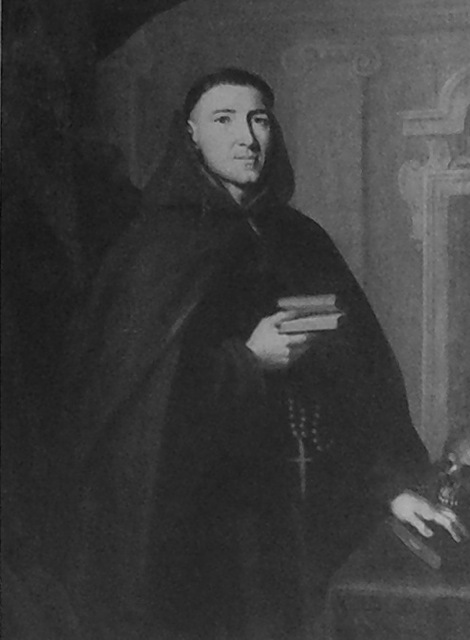 In 1740, for instance, while in Rome with William Matthias Stafford-Howard, the 3rd Earl of Stafford, these “mauvais catholiques” caused a “vrai scandalum magnatum” by holding a mock conclave and impersonating Cardinal Ottoboni. [i] From “[c]e damné Huguenot” came a “repertoire de chansons libertines contre la papauté.” [ii] This incident was, no doubt, part of the popular activity of masquerade. However, once Dashwood became associated with the practice of masquerading as members of the Catholic clergy, he took his alternate persona as part of his identity. On his return to England, he had an artist paint him as a somber Franciscan friar. [ii] Charles de Brosses, Lettres d’Italie du Président de Brosses, vol. 2 (Paris, 1986), 445. This entry was posted on Friday, February 10th, 2012 at 09:53	and posted in History. You can follow any responses to this entry through the RSS 2.0 feed.